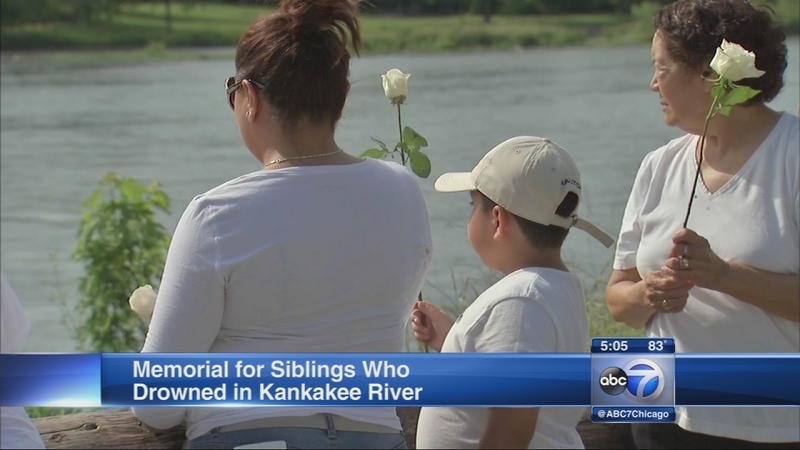 WILMINGTON, Ill. (WLS) -- The Joliet family whose two young children drowned after being pulled underwater at the Wilmington Dam on the Kankakee River filed a wrongful death lawsuit against The City of Wilmington. Eder Arroyo, 12, was pulled underwater into the Kankakee River at the Wilmington Damn over Memorial Day weekend. His 13-year-old sister Abigail Arroyo went in to try and save him but was swept underwater by the dam's undercurrent. Abigail died at a Joliet hospital, Eder's body was found days later. The family has now filed a lawsuit. The family attorneys say they hope by filing the suit, changes can be made that will make the dam and surrounding areas safer. "She acted like a mother to him. She was so close to him, they were like glue. She gave her life to save his. She didn't hesitate for a second, she just went in after him," said Jerry Arroyo, the children's father. Eder could swim, but his sister Abby, could not.